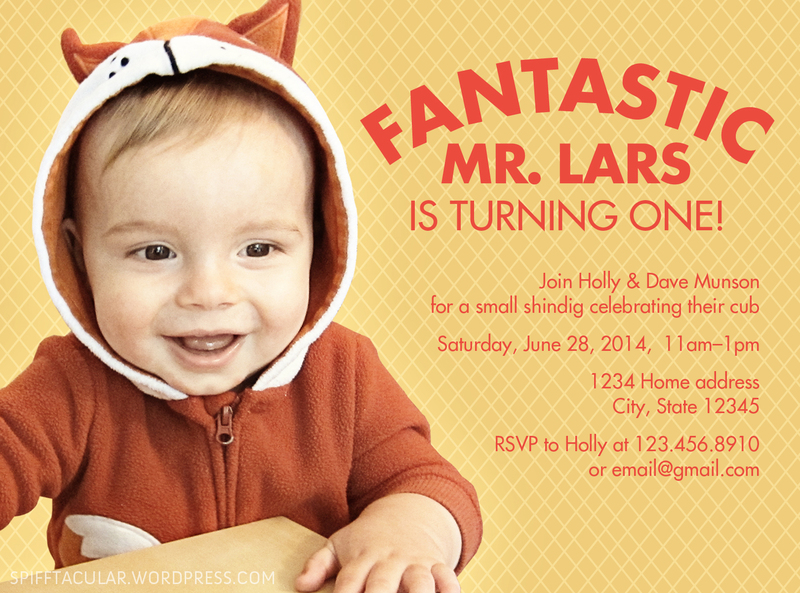 Fantastic Mr. Fox party printables and tutorials | spifftacular. 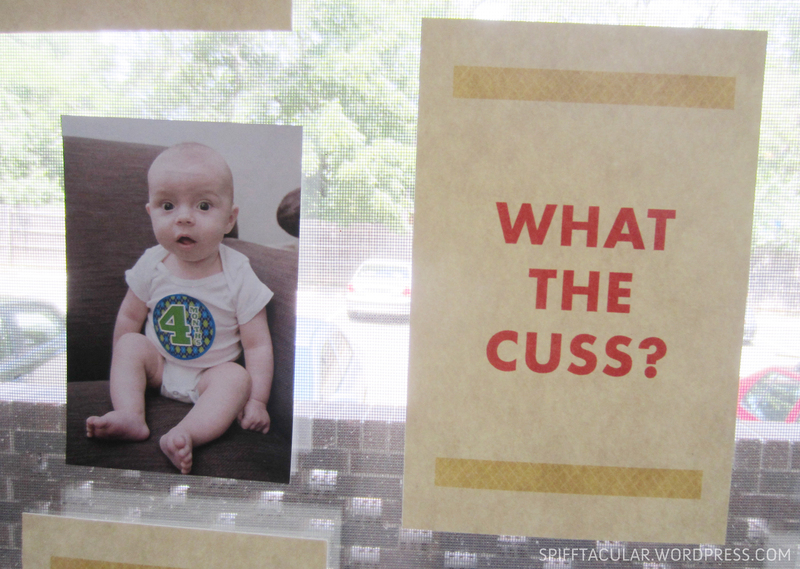 I had a lot of fun putting together a cuss-tastic Fantastic Mr. Fox birthday party for Lars–see my first post about it for a rundown of what we did and what inspired it all (also, check out the guide to playing whackbat). 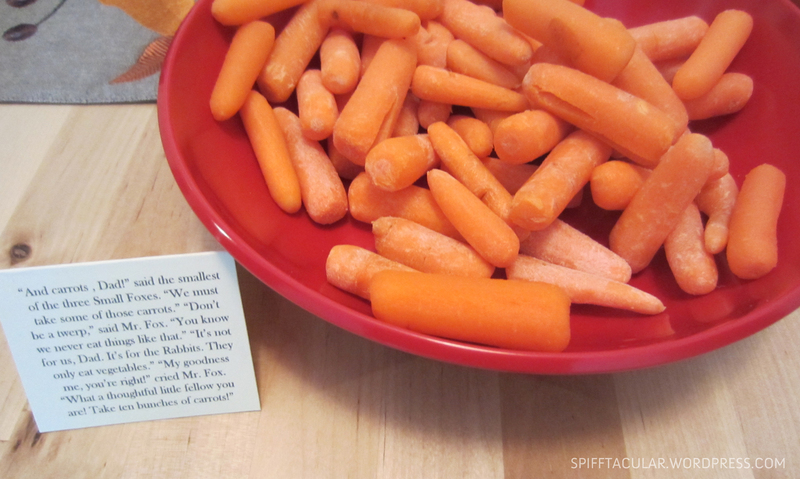 Whether you want to throw your own shindig or just want to print out a few fun Fantastic Mr. Fox movie quotes to hang in the office (you’re welcome, Dad), here is a handy compilation of printables and tutorials for these projects: (1) movie quote posters, (2) fox crowns, (3) food labels, (4) party invitation,and (5) paper-pieced fox for a game of Pin the Tail on the Fox. Projects 1, 2, and 3 are super easy, project 4 requires a bit of Photoshop skills, and 5 requires a lot of paper-cutting and some patience. Just put on your bandit hat (or modified tube sock), and you can tackle anything. Because who can’t resist quoting this movie? 1. Open the file in Adobe Reader and print them on cardstock. 2. Cut each page in half vertically. I saw the idea for fox crowns on Pinterest, but the link was broken, so I had to improvise. 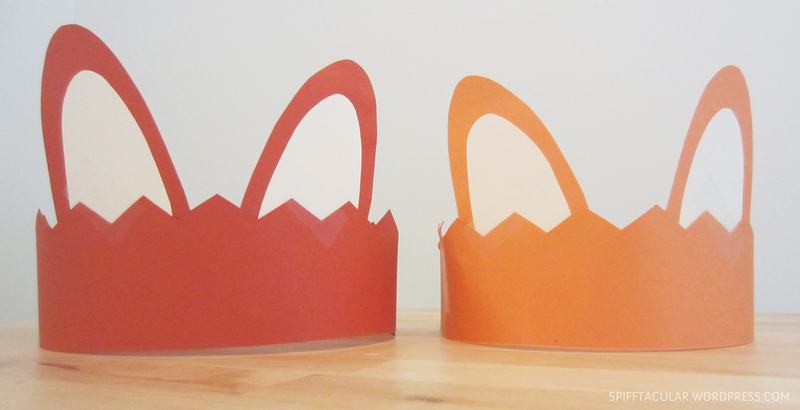 I made my own pattern and used it to make the crowns out of cardstock. 1. Using the first page of the pattern, trace and cut out the outer ears on the orange cardstock and the inner ears on the cream cardstock. 2. Using the second page of the pattern, trace the zigzag lines on the orange cardstock. Tape together two strips for each crown (so, you’ll get two crown bands out of one 8.5″ x 11″ sheet of paper). Small children are guaranteed to remove their crown immediately. I generally think food labels are superfluous. But I couldn’t resist pointing out how my menu choices related to the book/film. What can I say, I’m not perfect. 1. Open the PDF and print it out. 2. Trim around the lines and fold the labels in half. The invite is inspired by the color palette, typeface (Futura), and plaid rug on the movie cover. 2. 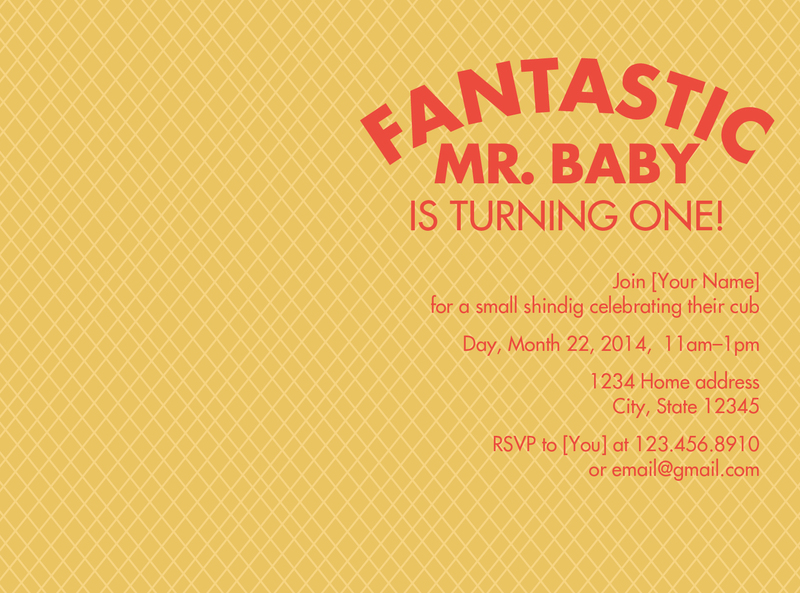 You’ll be filling the left side of the invite with a picture. Choose the photo you want to use and open the file in Photoshop. If you don’t want to erase the background (and simply have the photo as a rectangle on the side of the invite), copy the entire image (CTRL+A). If you want to erase the background for a cleaner, cut-out image, use the polygonal lasso to create a selection along the outline of the face, then copy the selection. 3. Paste the selection into the Invite file. Size your copied image (using a tool like Free Transform or Scale) to fill the empty space on the left. 5. Run the Pioneer Woman Soft & Faded action (download the action set for free here; if you’re new to using actions, this is a brief tutorial on how to install and use them). 6. Make the text layers visible again (in the Layers window, click on the box where the eye icon used to be for each layer). 7. Edit the text to customize with your name and other info. 8. You’re done! Now you can convert the file to a JPEG or PDF to print–they’ll fit any A2 envelope. I was initially inspired by something I saw on Pinterest but decided to style my own Pin the Tail on the Fox inspired by other illustrations on Pinterest and in particular this paper-pieced art. 1. Print out the pattern and cut out all the shapes from the first four pages of the pattern. 3. Optional: Lightly ink the edges of the dark-colored pieces with white ink and the light-colored pieces with brown ink. 4. Now comes the tricky part: Assemble the pieces and glue them in place. 5. Optional: Draw a simple tree on the kraft paper with the brown marker. 6. 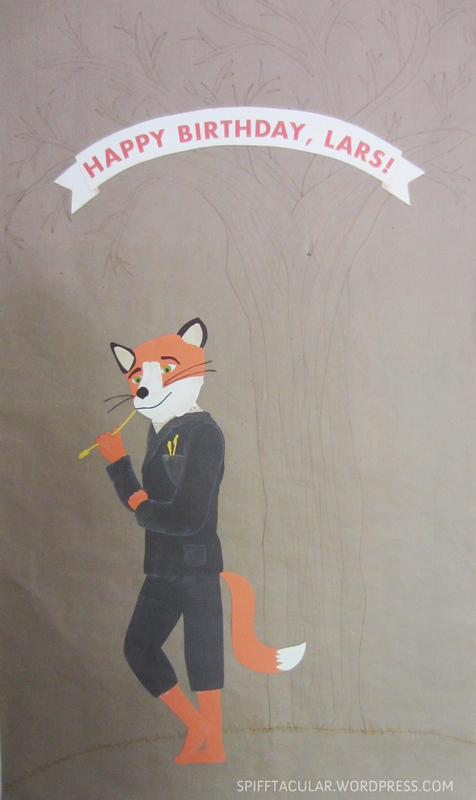 Glue the completed fox onto the kraft paper. 7. Optional: For the banner, open the banner text template PSD. Insert the birthday boy or girl’s name. 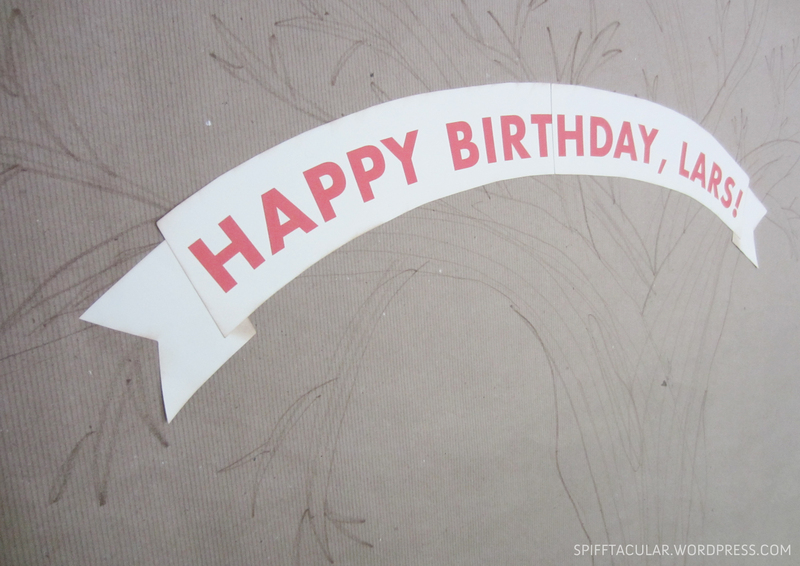 Print out across two sheets of paper, and cut out following the arch shape of the text. Then open the banner tail pattern PDF. Print it out and use it to trace and cut out the tails for each end of the banner. You can use the brown ink to lightly ink the edges of the banner to create a shadow effect. Then place and glue the tails underneath the main part of the banner, then glue it all onto the kraft paper above the fox. 8. 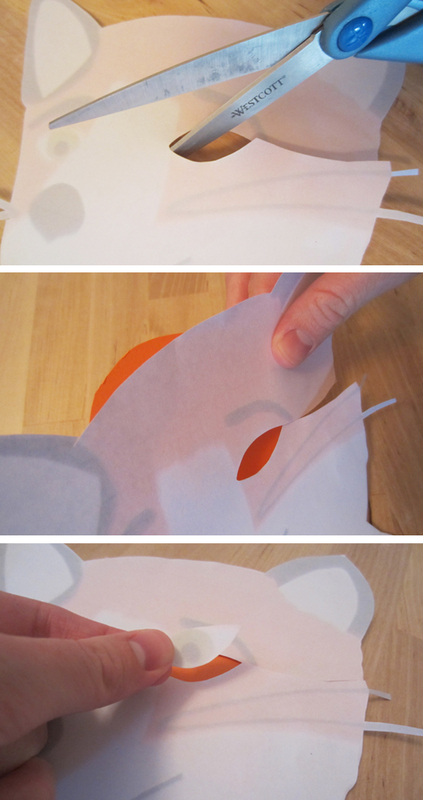 Create as many extra tails as you need to play Pin the Tail on the Fox. Have some double-sided tape on hand to put on each tail, then see which player can get the tail closest to the right spot! A. You’re amazing! B. You’re crazy! C. You’re my daughter, so I guess I can take credit for both. 🙂 I’m thinking I should print out the crown and make Dad wear it for his birthday tomorrow. I am so thrilled to see this! The Fantastic Mr. Fox is one of my most favorite movies ever! I love the quotes! Thanks, Jessa! I just checked out Sparkle too, it’s pretty awesome!